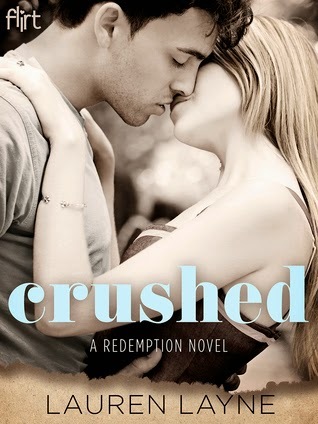 Crushed is the second book in Lauren Layne’s Redemption Series. It is about a guy attempting to resurrect his life and the so called “ugly duckling” younger sister who really only wants to be noticed. I loved the characters in this story. I truly felt they were people you could/would encounter in your everyday life. Even though it is part of a series it most definitely can be read as a standalone. Michael St. Claire is the tennis pro/personal trainer at an elite country club outside of Dallas Texas. This position is just a facade for Michael as he attempts to rebuild his life. Having loved and lost big time AND then his true paternity being revealed… Michael is on a mission to connect with is birth father AND avoid ever feeling any real emotion EVER AGAIN!! Ignorance truly is bliss. And when ignorance is over? All hell breaks loose. Chloe Bellamy has been in love with one man for over a decade. This man just so happens to be her sister’s boyfriend, Devon. It must be said that Chloe loved Devon long before he starting dating her sister. Actually once upon a time Chloe and Devon were true friends. I really loved Chloe’s sass! She was truly like the girl next door only she built this tough exterior to cover the hurt she felt being the “heavy” not as pretty Bellamy daughter. "Listen, Beefcake," I say with an exaggerated sigh. "I appreciate you trying to help the little fat girl, but quit messing with me, okay? You've assessed the situation for about sixteen seconds. I've been assessing it for sixteen years. And guys like that do not fall for girls like this." Michael could see right through Chloe’s snarkiness and wanted to convince her to stop being a bystander in her own life. With his own personal agenda firmly in place, Michael confides in Chloe’s as to his real reasons for taking up residence in TX. Both Michael and Chloe harbor hurt and rejection. They struggle to been seen and this common bond forges a deep connection. Crushed is filled with priceless banter, humor and sexual tension! 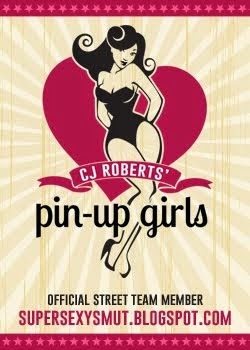 This is one of those books that you can and will devour in one night. It is a great friends-to-lovers read that will have you rooting for this couple to let go and move forward!